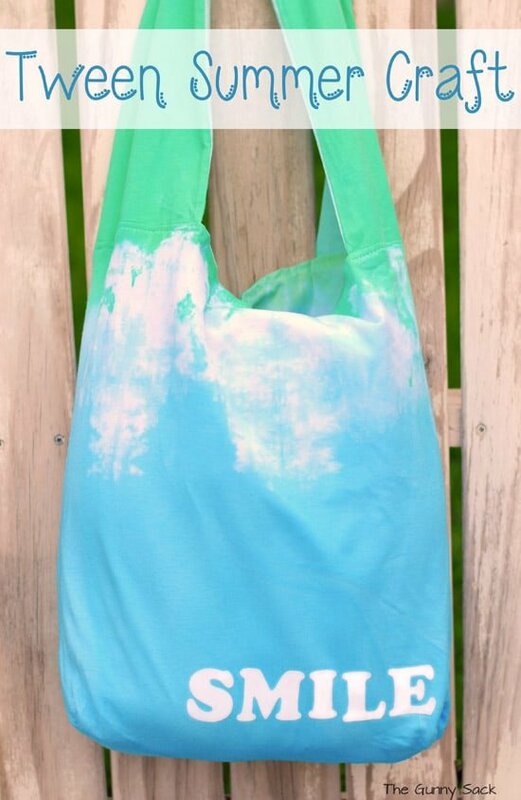 This easy tie dye tote is the perfect tween summer craft idea! With the arrival of summer vacation, comes kids who are always claiming they are bored. 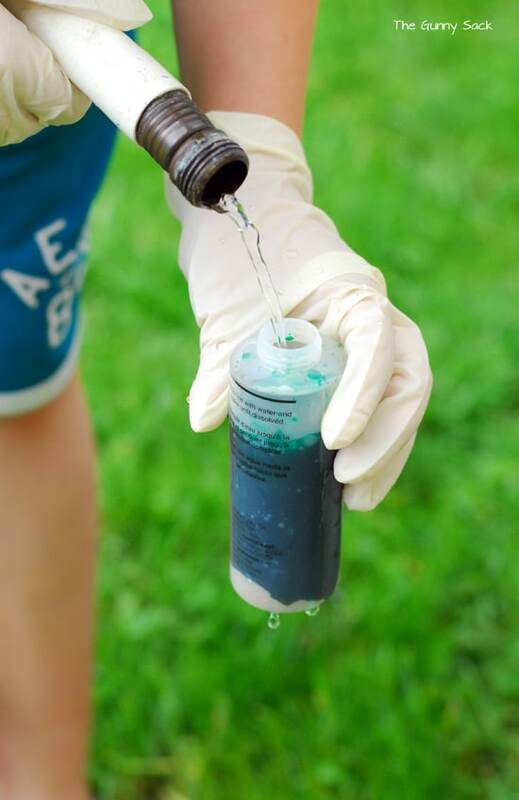 One of the ways to combat the boredom is to have fun projects on hand for the kids. 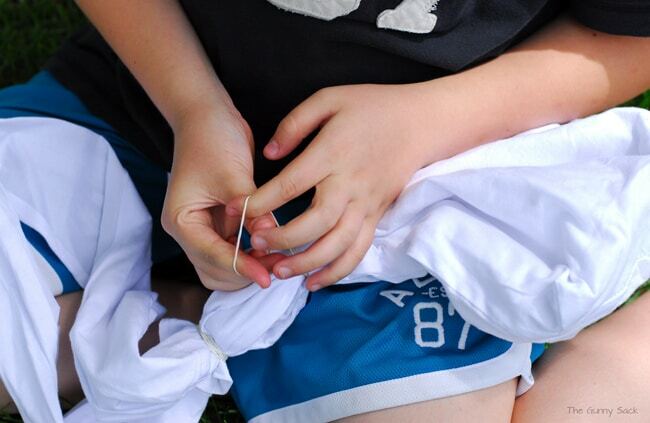 As kids get older, the project needs to be fitting for the age of the child. Vanessa is a tween and she loves getting crafty. 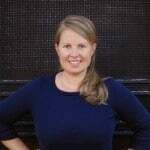 I received a gift card from Jo-Ann Fabric and Crafts to purchase a kid-friendly craft project. We looked at the Jo-Ann Cape Discovery catalog and found a Tye Dye Tote Bag to make! There were complete instructions including what supplies were needed. I printed the How-To instructions and brought them with to the store. 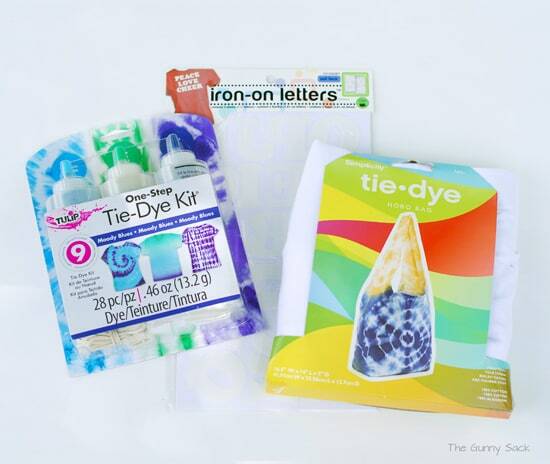 I purchased a Tulip Tie Dye Kit, a Simplicity Tie Dye Hobo Bag and Iron On Letters. Vanessa loves blue and green and I found the perfect kit! After removing the items from the tie dye package, Vanessa put rubber bands around the top of the bag, where the handles are attached to the bag and another about 2 inches down from there. This was so that she could dye the bottom blue and the top green with a white space in between. 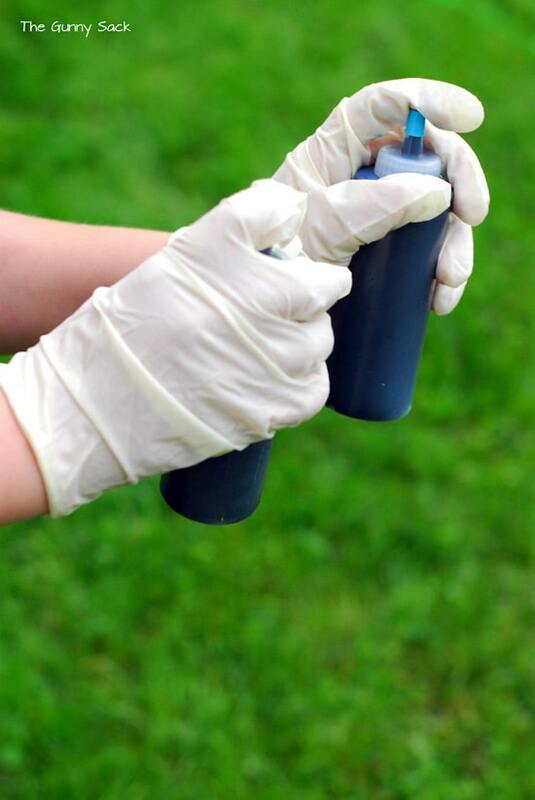 After donning plastic gloves, Vanessa added water to the plastic bottles up to the line on the bottles. Then, she shook them up until all of the powder was mixed in. 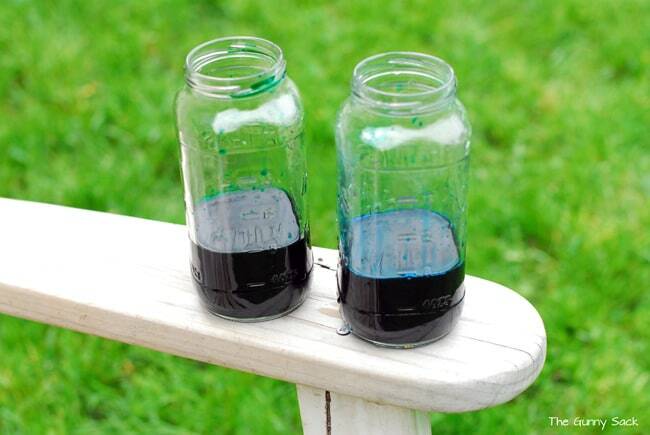 She carefully poured the dye into two glass mason jars and added water up to the 8 oz line. 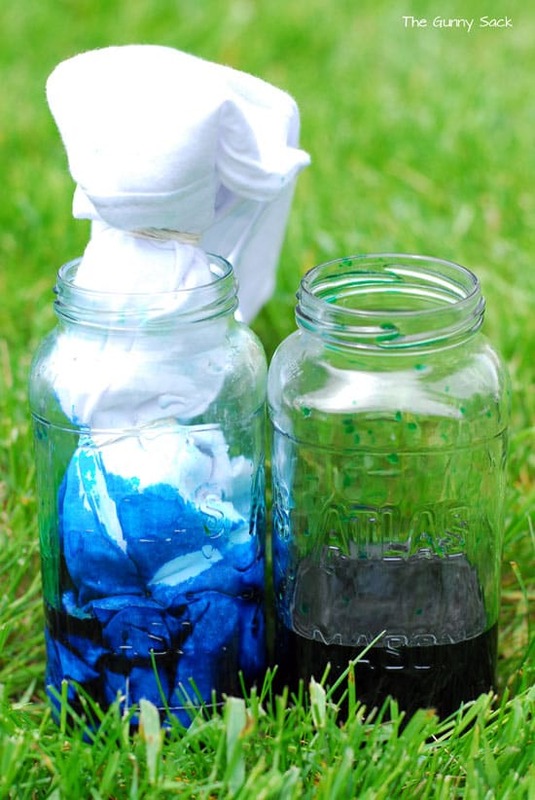 She dipped the bottom end into the jar with the blue dye until it was colored up to the rubber band line. Then, she repeated the process with the green dye. Vanessa pulled the bag up out of the dye a bit and left the ends in the jars for 20 minutes. 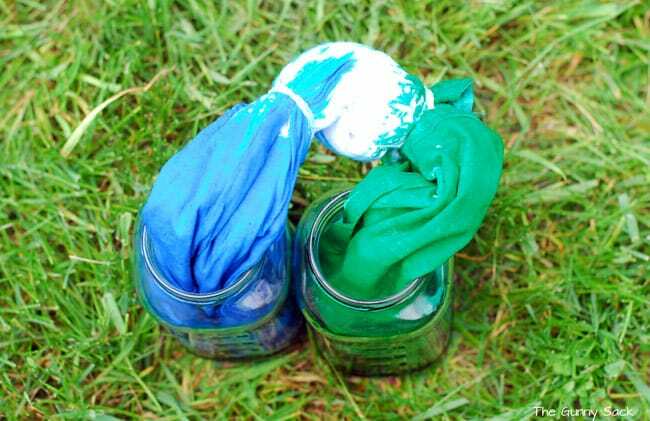 We wrapped the dye in plastic wrap and then put it into a plastic zip top bag. We let it sit for 8 hours to let the dye set. After the 8 hours, we removed the plastic and rinsed away the excess dye with cold water. Then, we washed the bag in the washing machine on the hottest setting. Vanessa is very happy with how it turned out. She can use the tote for so many things this summer! Click here to connect with Jo-Ann Fabric and Craft Stores and receive a 20% off coupon! We just did a summer dye project too. They are so much fun. I’d love to do the tote bag! Visiting from DearCreatives.com Theresa PS. Happy summer! This is a great project and love making sewing projects with my girl. Have a great week. Thanks Vanessa! You too! My kids are done with school now so it will be interesting!